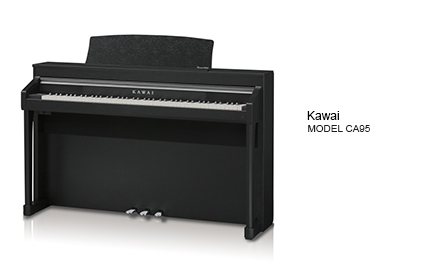 The CA17 digital piano is the latest addition to Kawai highly respected range of Concert Artist instruments, offering many of the strengths of the premium models, within a more compact and aff ordable package. 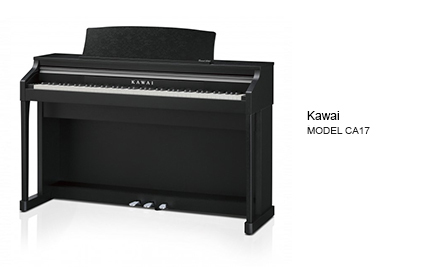 A premium instrument that captures the essence of playing a concert grand piano, and inspires musicians to realise their true artistic potential. 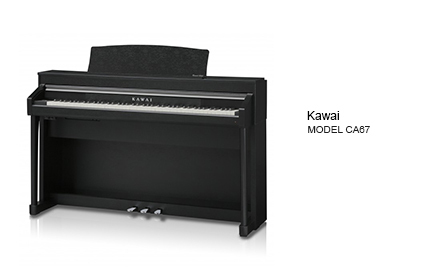 Get the sounds of the highly acclaimed concert grand pianos, the "Shigeru Kawai EX" and the legendary "EX" as well as the two metre model, the "Shigeru Kawai SK-5" in your very own home. Play these fantastic grand pianos on the first class "Grand Feel II" wooden key action and discover the room filling sound provided by the unique soundboard speaker system or with the new SHS headphone technology.